Join local Ayurveda practitioner and teacher Meredith Hart to learn easy, effective and efficient ways to support your daily meditation practice. Ayurveda is the time-tested Science of Life which specializes in supporting your body and mind so that you can live more consciously and full on a daily basis, outside and inside. During the course, we’ll be opening the vibrational channels of the body using acupressure, mantra and aromas to support your mind for an easier meditation. The cost of this program is $98 and comes with a special set of oils to bring home with you. Seats are limited. Please register below to save your spot. Meredith A Hart, MS, ERYT500, CIAYT, LMT, SME, YACEP is an avid student, practitioner and teacher of consciousness, healing and holistic medicine with focused attention on these subjects for over twenty years. She began studying yoga and herbalism at the age of 16 and hasn’t turned back since. 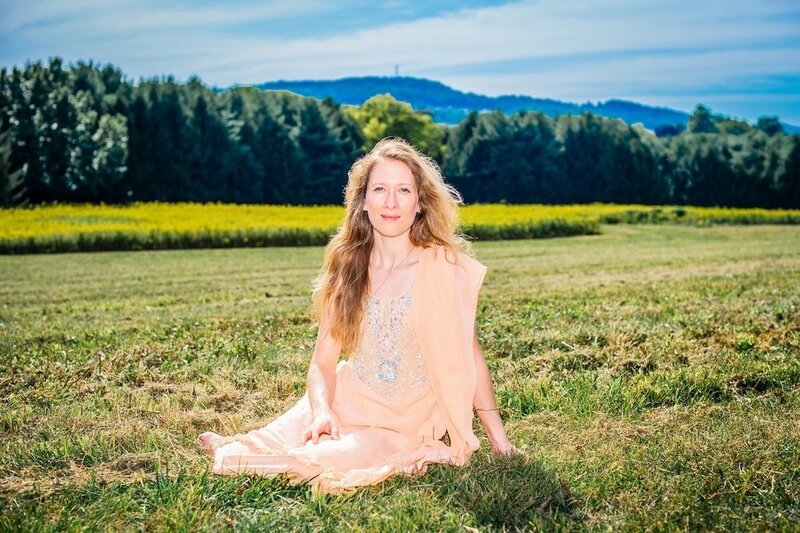 As a senior teacher at the age of 39, she currently holds several degrees and certifications in the field of Yoga, Meditation, Ayurveda and Consciousness including a BA in Transpersonal Psychology with an emphasis on Yoga Therapy & Somatics and an MS in Classical Ayurveda & Integrative Medicine. She has been an enthusiastic student and disseminator of consciousness-based health and healing for as long as she can remember; her whole adult life has been completely devoted to this field of study and work. Her specialty is working with those who suffer from chronic pain, stress and imbalances. She integrates many tools, catered to the needs of her clients and students which include Mantra and Sound, Asanas (poses), Pranayama (breath), Mudra (sacred hand gestures) Herbal Remedies, Ayurvedic Body Treatments, Marma (acupressure) Therapy, Craniosacral Therapy and Nutrition/Food Sciences to enhance potency, clear imbalances and unwind the blocks that are in the way of revealing life itself. Her group events and classes are led with curiosity and wonder as she is driven to channel the questioning that comes with all of life’s unfoldings. She lives and offers her private consultations and sessions in Mill Valley, a place she easily calls Home.